What do you mean you don't wanna, you don't wanna, what?!? No tar pits - no snickers - capisce?!? Oh, and I do mean to thank Dottie and Roo for this possibly accurate news! They are priceless. Well, I like to see bunnies presenting a united front, solemnly laying down the law with a minimum of confusing verbs. RG, I am always somewhat behind the times, but I have heard of this thing called Crowd Funding, I think? I am just trying to suggest that you look for your Snickers elsewhere, I am really not trying to dampen your spirits needlessly or to irresponsibly suggest that while D and R have perfected their technique their content is dubious, but if you really want your Snickers . 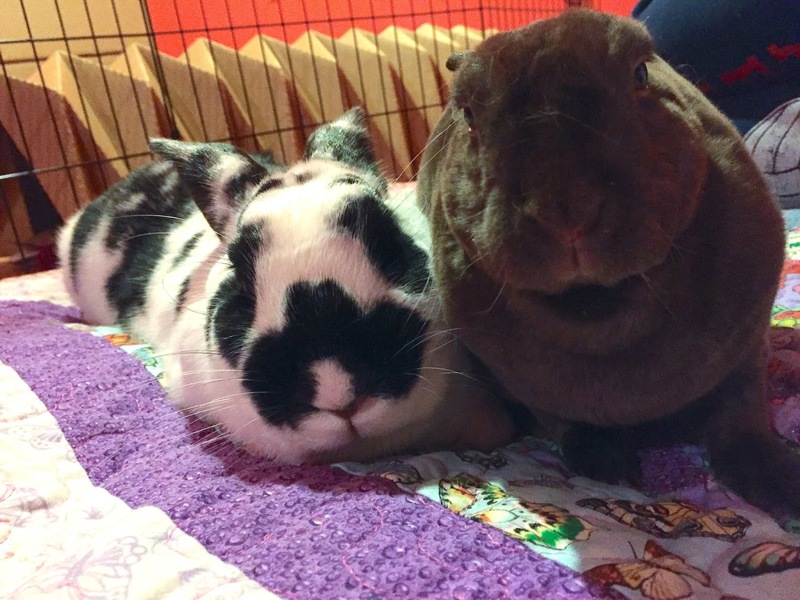 . .
Dottie seems to be the more laid back bun, with Roo as the more earnest enforcer bun. Not quite good bun/bad bun, but they definitely have a system.